Suppose you want to sue a contractor for breaching a contract, or you want to sue a competitor for stealing your employees. What kind of lawyer do you need? Should you just whip out the Yelp app and search for the nearest five-star-rated lawyer? If you’ve tried that, you may have been told by the highly rated lawyer that he or she doesn’t handle the particular legal problem you’re experiencing. There are many types of lawyers, and knowing which kind of lawyer you need is the first step towards hiring the right one. The attorney who did such an excellent job drafting your will may not be the best lawyer to challenge your non-compete agreement. Personally, I get many calls from prospective clients who want me to appeal their criminal conviction, or fight for custody of their kids, or get them out of a traffic ticket, and I don’t do any of those things. And lawyers who do handle such matters typically don’t practice in the sorts of business disputes and defamation matters that my firm typically handles. So I thought I would offer this quick-and-dirty guide to what I consider to be the ten most in-demand types of lawyers for most individuals and small businesses. If you find yourself in need of legal advice or representation and don’t know what kind of lawyer you need, check out the descriptions below, locate the legal issue you’re experiencing, then narrow your search to focus on the type of lawyer that corresponds to your specific need. You’ve been sued. A process server showed up on your doorstep and served you with papers requiring you to appear in court to defend yourself in a matter brought by another business or an individual. (Note: if the suit papers indicate that it’s the “Commonwealth” or the “State” that initiated the proceedings, the matter is most likely criminal in nature and requires a different type of attorney). Or someone harmed you in some way and you want to sue them. Perhaps your small business provided services to a vendor on a government contract and never got paid, in violation of the subcontract. Or your ex-employee has started a competing business in violation of his noncompete obligations to your firm. Basically, when two or more private parties have a dispute and desire to have it resolved in court, you need a lawyer who specializes in civil litigation. Courtroom proceedings are considered criminal in nature (as opposed to civil) when the state (through prosecuting attorneys) charges you with the commission of a crime. If you’ve been arrested, read your Miranda rights, and taken into custody by the police, you need a criminal defense lawyer. The criminal defense lawyer will work to ensure you are deemed “innocent until proven guilty” and will argue for a “not guilty” verdict, typically by trying to poke holes in (and cast doubt on) the prosecution’s theory of the case. Want to stay out of jail? Hire a good criminal defense attorney. Defamation lawyers are a subset of civil litigation lawyers. You want a defamation attorney if you need to take someone to court for defaming your character through libel and/or slander, or if you’ve been accused of causing harm to the reputation of another individual or business by making false and defamatory statements of your own. Defamation law is complex and it is often helpful to retain a lawyer with particular expertise in this area if you find yourself on either end of a defamation-related dispute. Many business owners assume they need a “business lawyer,” whatever the nature of the legal problem they’re experiencing. In fact, “business law” is too broad a category to be meaningful. Business lawyers generally fall into two mutually exclusive categories: litigation and transactional. Business litigation (often referred to as commercial litigation) is a major subset of civil litigation (see above). Businesses sue each other all the time, for any number of reasons. If your business is being sued for allegedly breaching a contract with another business, you will have more luck securing representation if you narrow your search to one seeking a business litigation attorney rather than a “business lawyer.” On the other side of the coin, a “transactional” business lawyer is the lawyer you need to help your business form, grow, and thrive. The transactional lawyer will incorporate your startup, help secure funding, draft your employment and non-disclosure agreements, issue stock, spin off subsidiaries, and countless other tasks associated with operating your business. Unlike the business litigation attorney, the transactional lawyer does not go to court. You want a divorce. You want custody of your kids. Your ex-wife wants an increase in her spousal support and you’d rather not give it to her. You’re getting married and you want to ensure you won’t lose half of everything you own if you ever get a divorce. If your legal needs involve family relationships and obligations, you need a family lawyer. Traffic lawyers are often considered a type of criminal-defense lawyer, but there’s a big difference between being accused of murder and being accused of running a red light, and different considerations come into play in formulating defense strategy. You’re going to want to look for a traffic lawyer if you’ve been caught speeding, driving on a suspended license, or cited for any kind of traffic infraction. Driving-related offenses, including DUI citations, call for the specialized expertise of a good traffic lawyer. What’s going to happen to all of your money and property after you die? How can you minimize estate taxes and maximize your children’s inheritance? 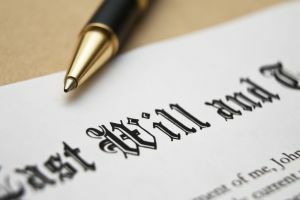 Can you draft your will in such a way that your property can be transferred to those people you want to receive it without having to go to court for “probate”? Consult a trusts and estates lawyer to get answers to these sorts of questions. 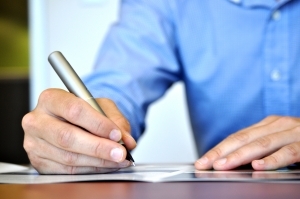 Suppose your business wants to hire a specialized worker from another country. Or maybe you are that worker and need help obtaining an H-1B visa. Perhaps you need assistance in connection with a deportation proceeding, or you want to help your spouse obtain a green card. For these sorts of issues, you’re going to need a specialist: an immigration lawyer. If you’ve been injured in a car accident, find yourself a personal injury attorney. These lawyers are experienced in dealing with insurance companies and helping you obtain the maximum recovery in light of the liability and damages issues involved. Personal injury lawyers don’t just handle car-accident cases. Typically, this is the type of lawyer you need if you’ve suffered a physical injury as the result of someone else’s negligence. Examples include “premises liability” cases (such as where you’ve slipped and fallen at a commercial establishment due to an unsafe condition), medical malpractice cases, and animal attacks. Real estate lawyers deal with rights concerning land, water, and structures. Perhaps you need to determine whether a lien has been asserted against your property, or you need to carve out an easement. Maybe you need to divide one lot into two or more lots, or change the zoning classification, or move a boundary line. A real estate lawyer will help you with these kinds of problems. Don’t see your problem described on this list? Lawyer-directory sites like Lawyers.com and Avvo.com may help you narrow your search. Good luck!